Just about every business depends on logistics to be effective in delivering value. Leadership on matters of logistics related has gained visibility with the postponement of the presidential elections from February 16 to 23. 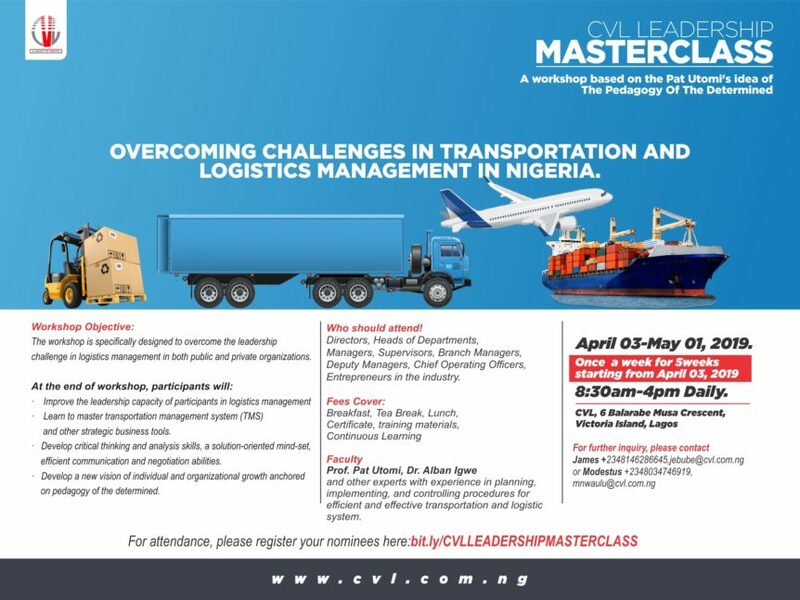 To address the leadership challenge, deploying the tool of the pedagogy of the determined, CVL invites you to 5 weeks staggered training on overcoming challenges in logistics management in Nigeria. 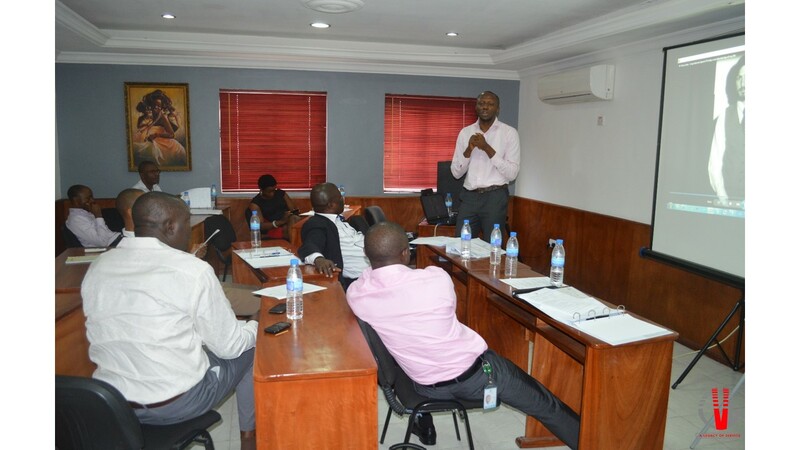 CVL Masterclass Tool, “Learning to Lead by the Philosophy of Pedagogy of the Determined” is designed by Prof Pat Utomi to help organizations navigate through challenges that may shut down many organisations in challenging or difficult period. Workshop Objective: The programme is specifically designed to overcome the leadership challenge in logistics management in both public and private organizations. Learn to master transportation management system (TMS) and other strategic business tools. Develop critical thinking and analysis skills, a solution-oriented mind-set, efficient communication and negotiation abilities. Develop a new vision of individual and organizational growth anchored on pedagogy of the determined. Managing Directors, Permanent Secretaries, Executive Directors, Directors, Heads of Departments, Managers, Supervisors, Branch Managers, Deputy Managers, Chief Operating Officers, People that make Decisions in the organization, Entrepreneurs in the industry. Prof. Pat Utomi, Mr. Tunde Makun, Dr. Austin Nweze, Dr. Alban Igwe and other experts with experience in Leadership, planning, implementing, and controlling procedures for efficient and effective transportation and logistics system. For further inquiry, please contact: James: 08146286645, jebube@cvl.com.ng, Modestus on 08034746919, mnwaulu@cvl.com.ng.